Saxon didn’t work for us. In fact, it didn’t work in dramatic ways. We had multiple reasons for beginning homeschooling, but among the academic reasons was that the math taught at school was a poor fit and created a lot of stress and little math learning. And then, as a homeschooler, I purchased Saxon Math, which was… a poor fit and created a lot of stress and little math learning. 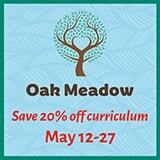 I was a new homeschooler, in my first year of what would become near-two-decades of homeschooling. I cajoled. I insisted. My son cried. I supplemented. I skipped the odd problems. He cried. Then I skipped some of the lessons. I made up my own lessons. It became hard to find the book in the house. Where is the Saxon? Stuffed under a pile of magazines in the piano bench, up under the couch, then eventually re-shelved to a book shelf we don’t visit very often. We gave it up. Honestly, at first I confused the unwillingness to do work from Saxon with disobedience. Then I thought it was poor math skills or maybe lack of focus. But my son was not a disobedient child, and he seemed to be competent with the same skills when I presented them in a different way. When I had first insisted on working from Saxon and worried myself about doing everything “by the book,” and when I later returned to Saxon episodically because it was “the text,” my son exhibited the same anti-math behaviors I’d seen when he was in school. Frustration. Reluctance. Anger. Inattention. No learning of math. Misery. It finally clicked for me: the Saxon Math was too much like the math curriculum from school. Too much drill and kill. Too relentless. Too much review. The print was too small. The text was boring. The approach was too part-to-whole. As I later thought of it, there were too many scales and not enough music — an idea I’ve condensed from the header paragraph at the Living Math website. (If that idea resonates with you, you’ll enjoy this post about using a Living Math approach instead of curriculum). And so we moved away from Saxon to math materials that worked better for us. I wanted to get the Saxon book off my shelf, but I really couldn’t bring myself to give it away or sell it. What if it inflicted the same misery on another family? However, over the years, my encounter with Saxon Math has been a learning experience. I have been homeschooling a long time now, and I have run into many families who have loved Saxon, whose kids thrived on it. 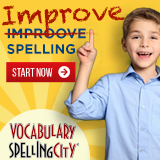 “It’s complete.” “It’s organized.” “It’s not distracting — straight to the point.” “Plenty of practice.” “Great review.” “Gets kids to mastery,” I’ve heard. Since I’ve been working as a homeschool evaluator, I’ve seen that it’s true! I’ve visited plenty of households with lovely math work from Saxon texts and kids who can discuss math concepts fluently and demonstrate them competently. I’ve seen these kids excel at the SAT and do well in college math. They’ve learned the scales, and they can play the music. 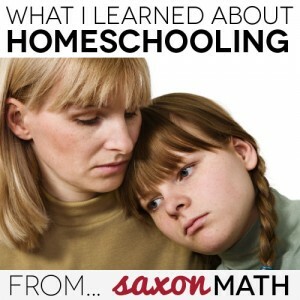 Saxon’s role in our homeschooling turned out not to be to help my kids learn math; Saxon’s role was to help me understand more about homeschooling. What did I learn from Saxon Math? A book or resource that makes your kid miserable might work beautifully for someone else. A book or resource that works beautifully for your kid might make someone else miserable. The ability to choose a curriculum or approach to learning that works for an individual child is one of the most important benefits of homeschooling — one of the “secrets” of homeschooling success. A homeschooling parent shouldn’t wait too long before making a change when it’s clear that a certain approach or textbook isn’t working. Sure, you may want to encourage your child through an adjustment period, but don’t belabor ineffective efforts too long. Crying, frustration, resistance, inattentiveness, lack of learning, and misery are clear signs that something’s not working. And that goes double if Mom is crying. Children’s individual learning styles can make certain books a good or bad fit — the amount of color, the amount or size of the text on a page, the amount of review or practice, the number of illustrations, the style and reading level of the writing, and the approach to concepts. Parents’ understanding of what homeschooling should “be” will evolve over time. The amount of money paid for a book does not justify its continued use. There is no substitute for paying attention to a child’s level of engagement and learning and changing things to work better. If you scroll through the reviews of Saxon Math here at TheHomeSchoolMom, you’ll see just what I mean. There are families who love Saxon, families who don’t love it but still use it effectively, and families who couldn’t stand it and got nothing from it even when they persisted. We’re in the last group, but today, I can set my Saxon book free. I know the chances are good that it will go to a family that will benefit from it. I know that if someone tries Saxon and it works well, it will be a great path of learning for a kid. I also know that if a homeschooling parent finds it not to be a good resource, she can choose another book or another approach to helping her kid learn math. My blogging colleague at TheHomeSchoolMom, Rebecca Capuano, described this well in her post about math, Changing Curriculum, Again. This nimbleness is one of the major benefits of homeschooling. While adopting new textbooks or reform agendas in public education is akin to turning a battleship, my decision to try new things with my children is more like turning a kayak. Sure, we’ll encounter some white water here and there, but basically we can navigate to effective resources quickly. My youngest son, who cut his teeth on living math, is now studying high school math using a textbook that is typically used in public schools. In fact, it has crossed my mind that the Saxon approach might have worked perfectly for this kid. The homeschool mom that was me so many years ago never would have believed it. Our kayak has paddled full circle. Agreed. Saxon has been a curriculum proven to get kids successfully from 123’s through Calculus. My kids learned perseverance, work ethic, and math! 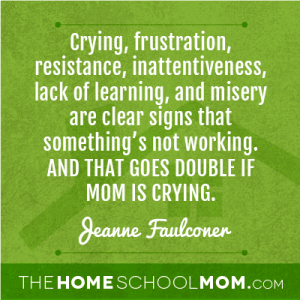 Frustration comes when the parent expects the child to completely work independently right away. Teach the child, sit with them in the beginning, and they will blow their peers out of the water with their math knowledge and retention of said knowledge. Saxon definitely works for many families; however, some families need to feel permission to “move on” from a curriculum that is a poor fit. I spent hours sitting with children and their Saxon at the beginning, and our experience was not that of overcoming frustration, but of the kids coming to believe that they were inherently bad at math. Yet other curricula we used, which were also challenging and effective, had the opposite effect. My point is that parents should not throw the baby out with the bathwater. A curriculum that did not work for one child or family may work for another, and it may work well. I’m glad your kids have done well with Saxon! After reading more than a plethora of negative reviews on Saxon l notice a pattern in the families who reject it. While there are some segments of the home education community who also find Saxon to be tedious overkill the majority of families who don’t like Saxon tend to be prior patrons of the public schools whose chidren need colorful text books with plenty of pictures and short, entertaining lessons with a paucity of work in order to comfortably get through a math lesson with little effort and few tears. Saxon math is the exact opposite of those books.It requires a disciplined mind and a magnanimous dose of perseverance for a child to study math, the most disciplined and honorable subject a child can study, for 2 or more hours at a stretch. When one considers how Asian chidren, who slaughter their American counterparts in the disciplines of mathematics and the sciences, will study mathematics for hours at a stretch, then it appears that the problems conjectured to be fault of the Saxon textbook may in fact be a reflection of the undisciplined culture our children are being raised in. An interesting point of view. Different cultures tend to value different traits, and those can be reflected both societally and individually. Whether a math book can be an indicator of that is something for which I’ve seen no empirical evidence. I know many of the children I see (as a homeschool evaluator) who did not do well with Saxon have otherwise shown themselves to have much perseverance and to be extremely disciplined, regardless of their previous education history. I don’t run into many homeschooling parents in the U.S. who see their children as in competition with Asian children who may be “slaughtering” American counterparts. 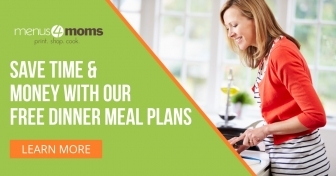 They simply are looking for something their children learn from effectively. Comparing children as human capital representing various countries is something I see more of in discussions of public education. Children as “our offspring we want to love and prepare for their lives” seems to be the more prevailing value among homeschooling parents. There is some logic to this, given that public education is paid for through taxation and home education is a personal expense to parents. My advice to parents is to choose materials and books that their children are engaged by and enjoy, since the evidence is overwhelming that emotional context and autonomy are of paramount importance in learning. Saxon covers most of the math subjects but does it without tying it all together It has no chapters or units, just 120 individual lessons. At a certain point in math, home school students really need a tutor to tie it all together. Saxon is fine in that case. I have taught 12 years in public school and going on 9 at a home school coop (STARS- Springfield, VA) in Pre Alg and Alg 1&2 and I have seen very few students who could pick up the algebra material just at home.Do you have home school coop in the Wilmington Area? Jeanne, I’d love to know what you switched to and how that worked for you! Your family’s math experience sounds much like ours and I’m still working to find a better option for us. A hundred thousand ‘thank you’s’. Saxon DID NOT work for us either but when I mentioned it to a few Saxonholics I know, they looked at me like I’d sprouted another head. Thankfully, I’ve learned to dump a text when it’s clear it’s not for me and/or my student, so we were on to something else by October. This is a great post! It is true, what works for one child isn’t always the best for another. We as homeschooling parents need to be flexible and be willing to make a change if it isn’t working. Thanks for the encouragement!